Want to learn what it takes to be a real card worker? Magic Makers, Inc. presents Legend with Cards, featuring Kris Nevling. On this DVD, you will learn Nevling’s original card moves that have never been published or seen anywhere until now. Learn how to perform some of his most amazing controls, false shuffles, and passes. Also, learn how to make someone think of any card you want them to. 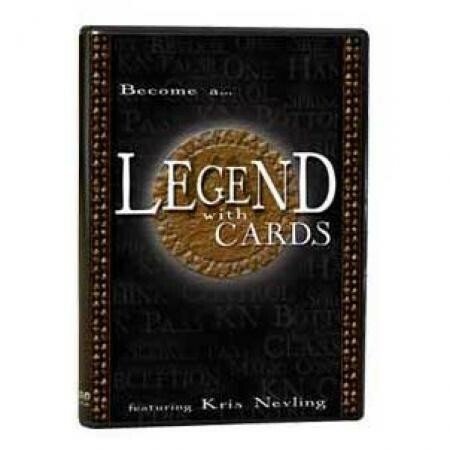 After watching this DVD, you too, can become a Legend with Cards.